Marie-Louise von Franz was born in Munich, Germany, the daughter of Austrian parents. After World War I, the family moved to Switzerland. As teenagers, she and her elder sister lived in Zurich in order to attend a gymnasium (high school) there that specialized in languages and literature. In 1933, at age 18, she met Carl Jung and discussed psychology with him. It was a momentous occasion for her. That year, she began studies in classical philology and classical languages at the University of Zurich. She paid her way by giving private lessons in Latin and Greek to gymnasium and university students. She also took up the study of Jungian psychology. She attended Jung's lectures at the Swiss Federal Polytechnical School and his psychological seminars. In 1934 she started analytical training with the master. To pay for her training analysis, she translated Greek and Latin texts for him. Thus began a 30-year collaboration with Jung that lasted until his death in 1961. She contributed greatly to his major works, particularly his monumental studies on psychology and alchemy. From 1942, she practiced as a psychoanalyst, mainly in Küsnacht, Switzerland. She wrote more than 20 books on analytical psychology, most notably on fairy tales as archetypes, and became leading authority in the field. The first of these books, Problems of the Feminine in Fairytales, was published in 1972; it was followed by An Introduction to the Interpretation of Fairytales (1973), Shadow and Evil in Fairytales (1974) and several others that are still bestsellers in the psychology world. 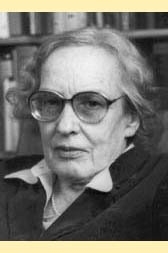 She also wrote about synchronicity, psyche and matter, and numbers, including the book Number and Time (1974). In 1948, she was a co-founder of the C.G. Jung Institute in Zurich. She helped complete and publish Emma Jung’s unfinished research after the latter's death. She also made a series of films in 1987 titled The Way of the Dream, along with her student Fraser Boa. Marie-Louise von Franz is currently considered a "single author." If one or more works are by a distinct, homonymous authors, go ahead and split the author. Marie-Louise von Franz is composed of 12 names. You can examine and separate out names.